Revolving door The doors are designed as entrance and exit for people entering and leaving the building to achieve the smoothest and most efficient operation. Apart from the door, there is also a security system. The user can choose to use for security purposes. The access control can be installed to control the entrance and exit of the door. Card or a finger can be used to determine the access right of each person. 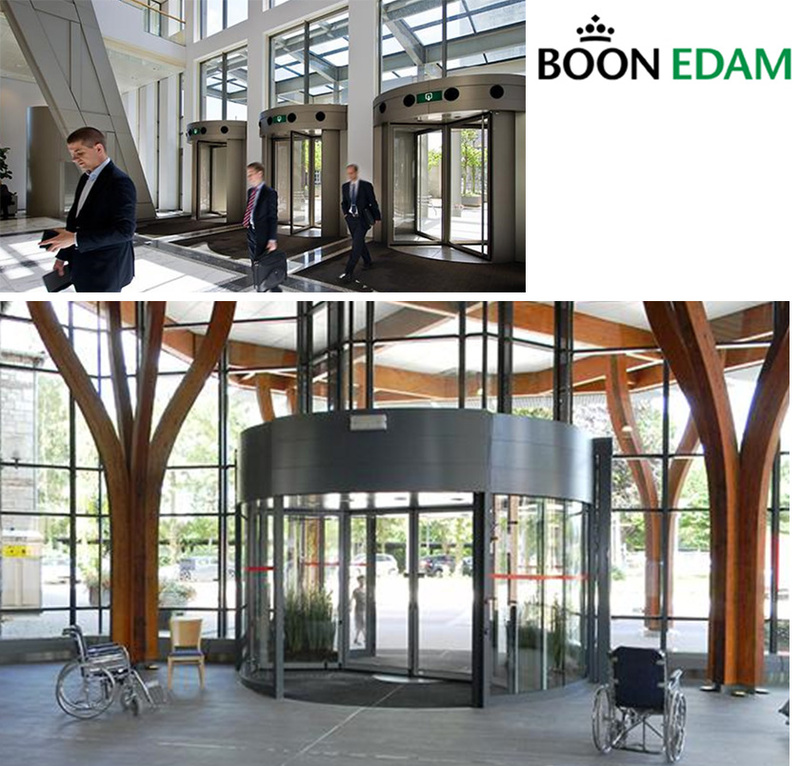 The revolving door consists of three compartments and four compartments, depending on the usage. Four compartment types is used to prevent people that followed from another compartment. However, each compartment is small. In addition, it can be used in two directions by setting door system. The three compartments type is used for one direction only, but each compartment has a larger area. Benefit of resolving door is that there is no need of patrolling which is suitable for high priority areas such as government buildings, hotels, banks, airports etc.